The Connecticut River Watershed Council, Inc. (CRWC), now doing business as the Connecticut River Conservancy (CRC), is a nonprofit citizen group established in 1952 to advocate for the protection, restoration, and sustainable use of the Connecticut River and its four-state watershed. We appreciate the opportunity to provide the following comments on the NH Proposed Wetlands Rules Env-Wt 100 – 900. For Env-Wt 103.52 Definition of ‘Priority resource area’ please add, outstanding resource waters (as defined and used in Env-Wq 1700) which includes all designated rivers classified as Natural. Projects adjacent to Outstanding Resource Waters deserve additional scrutiny to make sure that they will not impact water quality, ecological integrity, or riparian buffers. To be consistent with the Best Management Practices for Routine Roadway Maintenance Activities in New Hampshire, Env-Wt 309.03 (a) (2) should require notification of the Local Advisory Committees if work is to take within a designated river corridor. Regarding Permit by Notification (PBN), CRC understands that the goal of the department is to streamline the permit process but this should not be done by eliminating the Local Advisory Committees (LAC) statutory role “(b) to consider and comment on any federal, state, or local governmental plans to approve, license, fund, or construct facilities or applications for permits, certificates, or licenses, that may alter the resource values and characteristics for which the river or segment is designated.” [RSA 483:8-a III(b)]. LACs were created by RSA 483, they serve as the municipal voice in state permitting and because of that they should be respected and included in the permit process with ample time to comment or respond to permit concerns. Both local conservation commissions and LACs provide local knowledge and eyes on projects that cannot be replicated by state staff or desk-top GIS analysis. CRC requests that permit by notification require that local conservation commissions and LACs be notified about all projects. The submission requirements for PBNs should be submitted to the Department, municipality, local conservation commission and/ or LAC simultaneously. To facilitate this notification, CRC recommends that the department maintain a 10 day processing time for PBNs. In general, CRC is opposed to any rule changes that would alter the process for minimum impact restoration projects, including dam removals. It is our understanding that in the new rules dam removal projects will fall under minor projects which may make them untenable. The rules as written require far more than the Army Corp of Engineers requires for restoration permit requests. If adopted, the current changes to the wetlands rules will cause restoration projects to be more expensive and lengthy, thereby reducing projects implemented in the state. The Department should consider the economic impact of the loss of these projects on small NH based engineering and construction firms. For example, in 2017 alone, CRC paid out $580,000 to 18 businesses in 17 towns for river restoration projects. In 2018, the dollar amount exceeded $500,000 for projects in NH and VT (including dam removals done under the minimum impact permit). Dam removal projects should be handled in the wetlands rules under ENV-Wt 525 exclusively with specific requirements reflective of minimum impact projects. Including any discussion of dam removal under Env-Wt 526 Dams, is confusing. The language of Env-Wt526 indicates, ““C/M/R project” means a project to construct, modify, remove, repair, or replace a dam, or any combination thereof.” CRC would argue that requirements to construct, modify, repair or replace would logically be grouped together, but requirements to “remove” a dam should be separate. The ecological result of a dam removal is inherently a restoration project unless the dam is going to be re-constructed or replaced. References to dam removal in this section should clearly be limited to those situations which include modification, repair or replacement. Similarly, dam removal and stream restoration requirements should not be expected to adhere to the same permit requirements meant for mitigation projects as outlined in Env-Wt 803 Compensatory Mitigation Proposals. Organizations that are trying to protect and enhance ecological health do not fall into the same category as those projects that require compensatory mitigation for ecosystem impacts. Ecological restoration projects are not mitigation projects and they should be treated differently under the rules. As stated above, this level of scrutiny for restoration projects will undermine the possible implementation of restoration projects in the state by making them too expensive to undertake. Under Env-Wt 306.01 Activities Eligible For a Lower Scrutiny Approval (LSA), section (d) the rules reference “a restoration/enhancement project as described in Env-Wt 530.” Should this be referencing Env-Wt 525? In general the rules are very difficult to read and reference across the rules to other sections is confusing and limits the Department’s ability to be specific and appropriate with requirements for extremely varying circumstances. While it may make the rules longer, the sections of the rules should encompass the information needed for specific scenarios with little to no reference to other sections. 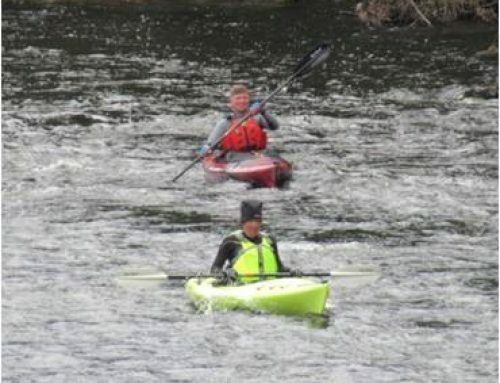 Connecticut River Conservancy greatly appreciates the opportunity to comment and the Department’s hard work on updating these rules. 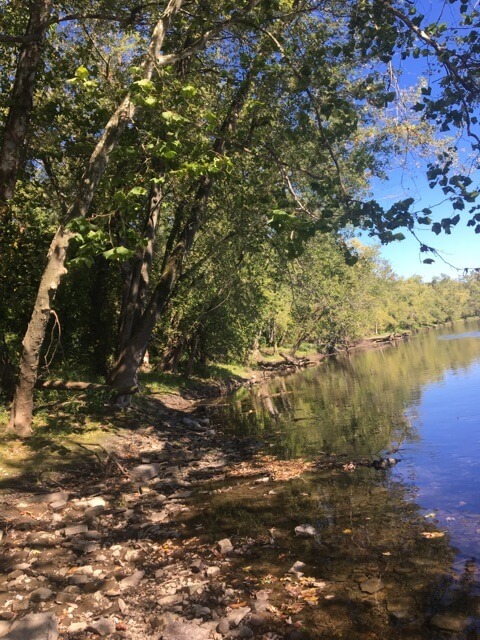 For more than 60 years, the Connecticut River Conservancy (CRC) has been a powerful force for positive environmental change in New England. CRC is a 501(c)(3) organization.